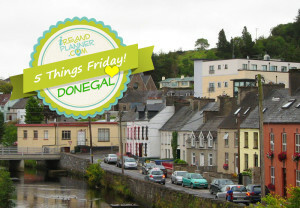 Welcome to my ‘5 Things Friday’ blog, where this week I’m taking a look at some interesting Donegal facts. After my home county of Cavan, Donegal is my favourite county in Ireland for a variety of reasons, but mainly due to its incredibly beautiful unspoilt landscape. From Malin Head to Glenveagh to Slieve League, I never tire of its beauty and could spend weeks getting lost in its charms. 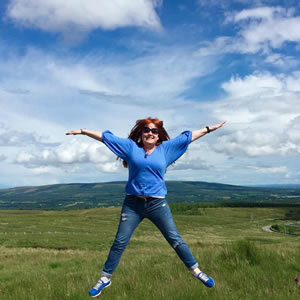 As well as a wealth of things to see and do, Donegal also has many interesting facts and people associated with it from ancient history through to the present day. Below are some of my favourite Donegal facts that I’ve learned about the county during my Ireland Planner research and travels. As ever, this is not an exhaustive list, so I apologise if you feel I’ve left anything out, but please feel free to comment below! 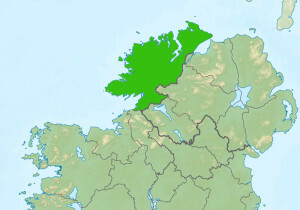 Co. Donegal is part of the border region of Ireland and is in the province of Ulster. It is the largest county in Ulster and the fourth largest on the island though it is only the tenth largest in population terms, making it a great place to get away from it all! Altough it sits in the north of the country geographically it is still part of the Republic and is unique as it is the only one of the 26 counties to border only one other county – Leitrim. It is also home to the oldest town in Ireland – Ballyshannon – and the smallest fishing harbour in Europe – Bunbeg. Below are some more interesting facts about the county. I hope you enjoy. 5 Amazing Donegal facts you might not know! 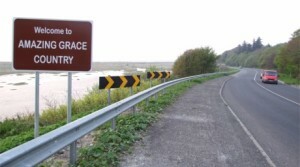 If you are interested in quirky Donegal facts, then this one is for you. Tory Island is part of the Irish Gaeltacht area of Donegal (don’t worry, they speak English too!) and lies nine miles off the north-west coast of the county. It is only 3 miles long by half a mile wide, and according to the 2011 census is home to 144 residents. It is home to a large population of artists and painters, drawn there by the island’s beauty. One of these in particular, the charismatic Patsy Day Rogers, stands head and shoulders above the rest for one amazing reason. He is the elected King of Tory and for the last 30+ years, he has been responsible for welcoming visitors to the island! This tradition is set to date back to the 6th Century and the time of St. Columcille when he appointed a man called Duggan as king to protect the island from pirates. Nowadays, the title is more ambassadorial and King Patsy takes his duties very seriously. He welcomes the ferry carrying tourists from the mainland when it arrives and last year personally welcomed roughly 17,000 visitors to Tory! So if you’ve always wanted to meet royalty, now is your chance. Ferries run daily from mainland Donegal from April to October and 5 days a week for the rest of the year, weather permitting. However, winters can be very harsh in Tory and I’d recommend a Spring or Summer visit if you can! Of all the Donegal facts I’ve researched, this is most definitely my favourite to look at! 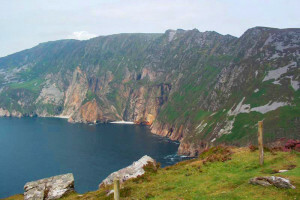 The magnificent Slieve League Cliffs on the Western Atlantic edge of Donegal are some of the tallest sea cliffs in Europe. Rising an incredible 2,000 feet at their highest point and twice as high as the Cliffs of Moher, you definitely need a head for heights here, but the views are spectacular. With the wind whistling around you, open ocean views as far as the eye can see to the west, and a brilliant green patchwork quilt inland, the cliffs have to be seen to be believed. It is a sacred mountain with thousands of years’ history as a place of pilgrimage and this definitely permeates. There is an other-worldly air which is indescribable here, possibly aided by lack of a visitor’s centre or any other sign of commercialisation, and I defy anyone not to get lost in the area’s beauty. Just hold onto your hat, don’t look straight down and above all be careful, especially on One Man’s Pass. Here’s one of my Donegal facts that you won’t be able to get out of your head the next time you hear this hymn! There are a few songs that stand out as being some of the most well-known and well-loved of all time. Happy Birthday or Auld Lang Syne come to mind as transcending language and borders, but one such song with a Donegal connection is the hymn Amazing Grace. Written by John Newton, it tells the story of a wretch who finds God and is enlightened, seeks atonement for his sins and ultimately finds redemption. Newton was a foul-mouthed slave trader who sailed the high seas making money in human trafficking. On one such slave-trading voyage from Africa back to England in 1748 Newton’s ship was caught in a terrible storm off the coast of Donegal. In the depths of fear, Newton called out to God for mercy and saviour from the storm and this appeared in the form of Lough Swilly, a calm sea inlet splitting the counties of Donegal and Derry-Londonderry. It was here that Newton and his crew sought refuge after weeks at raging sea whilst their boat was repaired and they were housed by warm and friendly locals. Due to his salvation from the storm, Newton was a new man. He went on to write the popular song and renounce slavery. Standing on the shores of Lough Swilly, it’s not hard to imagine how such a calm and beautiful place could inspire such a song. 4. Give up yer auld sins! This is one of those Donegal facts that the catholics in Ireland will know surely about! St. Patrick’s Purgatory is an ancient monastic and pilgrimage site located on Station Island in Lough Derg, Co. Donegal. 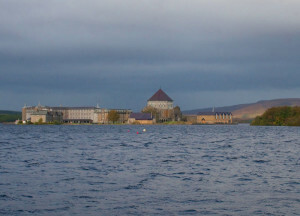 Down through the years, thousands of people have travelled to Lough Derg for pilgrimage and prayer. In fact, this tradition is believed to have continued unbroken for over 1,500 years! However the pilgrimages have gotten easier. Historically, visitors need letters from their Bishop and would spend 15 days fasting and praying on nearby Saints Island in preparation for a visit to Station Island where they were locked in a cave (thought to be a sweat cave) for 24 hours. If they were found alive after this, they returned to Saints Island for another 15 days of prayer and fasting. Nowadays, the main pilgrimage season starts in late-May until mid-August. It usually consists of a three-day visit and is open to all pilgrims, religious or not, as long as they are over 15 years of age and in good health. Fasting begins at midnight the night before and the next morning visitors are ferried out the island where they partake in continuous prayer and fasting for two days, all barefoot, only being allowed sleep on the second night. They are ferried back to the mainland on the third day but must continue fasting until midnight. There is a strong tradition of ‘doing’ Lough Derg particularly in rural Ireland, though I’ve never done it myself. I’m not sure I could handle the sugar withdrawal! 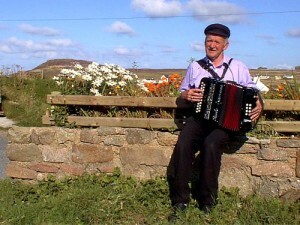 As with all of Ireland, Donegal has a very strong musical tradition and great tunes can be heard from the county’s pubs and homes on any given night. There are some very notable musicians and bands who hail from the county including Altan, Clannad, Daniel O’Donnell and the great Rory Gallagher to name but a few. But one name stands out from the rest in terms of global sales and reach. 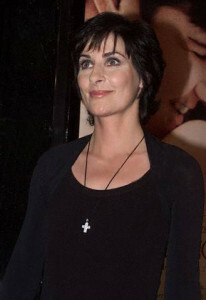 Enya Patricia Brennan, born in Gweedore, started out with her family in the band Clannad but went on to achieve global solo success in the 1990’s. She is one of the world’s best-selling artists with album sales in the region of 75 million records to date and is Ireland’s best-selling solo artist. In fact, in 2001 she was the world’s biggest-selling artist and ranks as one of the biggest-selling musical artists of all time! She has won 6 World Music Awards and 4 Grammy’s among a plethora of other awards and has been nominated for an Oscar and Golden Globe. And finally and most amazingly to me (apart from the fact that I can only name one of her albums! ), is that Enya has achieved all of this without ever embarking on a solo tour. Not bad for a wee girl from Gweedore! Thanks for reading my favourite Donegal facts! So there you have it for another edition ‘5 Things Friday’ with some of my favourite Donegal facts. As ever, there are many more, but I’ll save those for another date. Please feel free to comment and please share the blog with your friends.